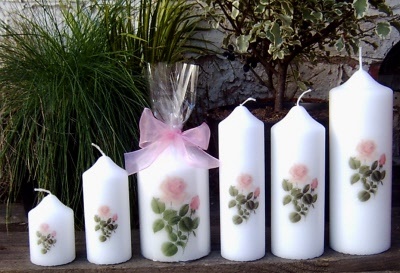 Choose from a range of sizes from this stylish range of rose print candles, ideal for weddings, birthday's etc. See drop down boxes for sizes & prices. * Price includes gift wrapping with ribbon.